10" LP - Gatefold cover - Klappcover - 6 tracks - 11:31min. While not a household name, Bakersfield, California's Billy Mize was nominated for 23 Academy of Country Music Awards between 1965 and 1973. He won several, including Most Prom- ising Male Vocalist in 1966 and Television Personality of the Year in 1965, 1966, and 1967. In 1969 he was nominated for Television Personality once again, but lost out to another country singer who hosted his own show. The winner that time was Johnny Cash. But that wasn't the first time these two country music luminaries' lives and careers intersected. In March of 1959, Johnny Cash recorded Clementine at the same session where he cut Five Feet High And Rising. Both songs would appear on Johnny's 'Songs Of Our Soil' album that Sep- tember. 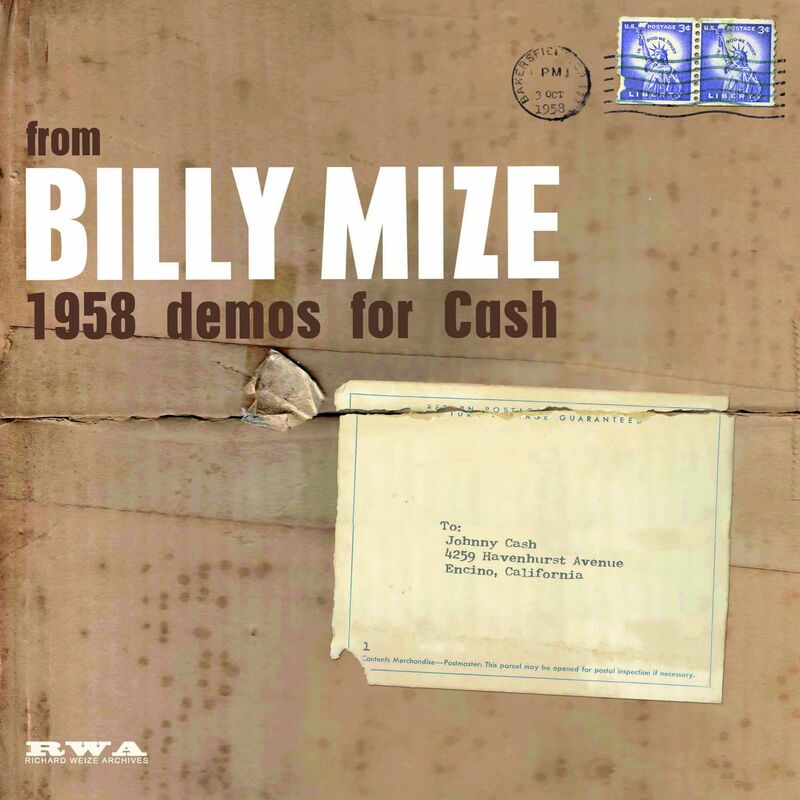 The latter, of course, was written by Cash, himself, while Clementine came from the pen of Billy Mize. 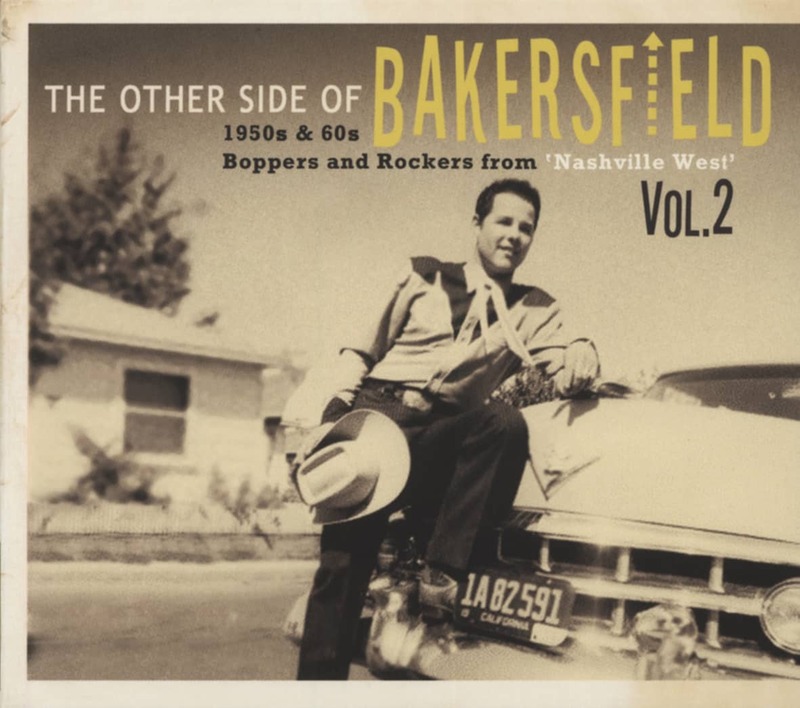 Mize was a pioneer on the Bakersfield music scene that spawned Buck Owens and Merle Haggard. His first major na- tional appearance as an artist came when DECCA released his Who Will Buy The Wine in 1955. Though not a hit for Billy, it be- come a Top 10 single for Charlie Walker, and was recorded by Ernest Tubb, Jim Croce, Jerry Lee Lewis, Merle Haggard, and others. Thanks to his smooth vocal delivery and matinee idol charm, Mize became a mainstay on country music-themed tel- evision shows, first in Bakersfield and then in Los Angeles. When Johnny Cash moved to Southern California in 1958, he became a frequent guest on the televised 'Town Hall Party' in Compton. Mize was already a regular cast member by that point, so when Cash was looking for songs for a new album, Billy got to work. Here, for the first time, are the demos of all six songs that Billy Mize wrote for Johnny Cash. They were recently re-discovered in a garage among several nearly-forgotten recordings, and provide a fascinating snapshot of a regional West Coast country star showing off his skills for writing songs that were strategically targeted to a specific artist. In addition to Clementine, Johnny Cash fans now have the chance to "peek behind the curtain" and experience a rare collection of demos as Cash heard them decades ago. It's like discovering a secret stash of Johnny Cash recordings that could have been – and perhaps almost were! By the late 1950s Billy Mize was bouncing between Bakersfield and Los Angeles, where he and Cliff Crofford appeared as cast members on the popular 'Town Hall Party' television show on Saturday nights. Soon after, Mize began appearing on 'Cal's Corral,' a Sunday afternoon country music TV program hosted and sponsored by Southern California car dealer Cal Worthington at the Huntington Park Ballroom. When 'Cal's Corral' released a promotional LP on red vinyl in the early 1960s, several of the show's regulars were asked to contribute recordings. Billy Mize submitted a weird reverb-drenched slice of rockabilly eccentricity called Planet Named Desire that he'd recorded a few years earlier. "We did that at Louie Talley's studio that he built behind his house in Bakersfield," Billy recalled. Unlike anything else Mize recorded in his career, the song is a particularly enlightening shapshot of how far from the ranch the Bakersfield cowboys were willing to drift in pursuit of alternate sounds. 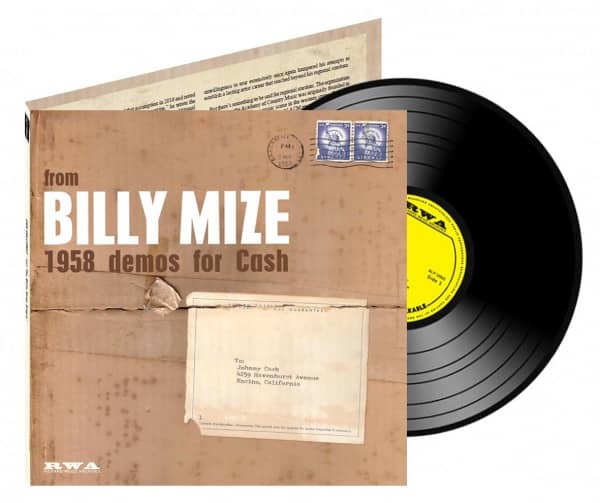 Customer evaluation for "From Billy Mize 1958 Demos For Cash (10inch LP)"